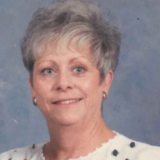 Mary Ruth McDonald, 78, of Gower, MO passed away Sunday, August 5, 2018. She was born on August 15, 1939 to Ira Gilbert and Edna Ruth (Powers) Newlon in Maryville, Missouri. Mary Ruth grew up in St. Joseph, MO and graduated from Central High School. Mary Ruth was united in marriage to Virgil Lee McDonald. After their marriage they lived in St. Joseph and in 1968 they moved to Gower where they made their home. She was a member of Eastside Baptist Church in St. Joseph. Mary Ruth worked for Dr. Irinyi and Dr. Schaaf in Gower for several years. She loved flower gardening and cooking. Mary Ruth and Vigil enjoyed bowling and they loved following their children and grandchildren sports and activities. She was preceded in death by her parents Ira and Helen (Ray) Newlon and Kenneth and Ruth Ingram, Sr.; brothers Carroll Newlon, and Larry Newlon; and sisters Dorothy Newlon Hennegler and Roberta Newlon Aley. Mary Ruth is survived by her husband Virgil McDonald; children David McDonald and wife Jana, Danny McDonald and Danielle Burdg and husband Eric; grandchildren Andrew McDonald and wife Beth, Lucas Powers and fiancé Shae Fannon, Evan McDonald, Lauren McDonald, Alexis McDonald, Chandler Burdg, and Julia Burdg; great-granddaughter Madalynn Hayes; brothers Kenneth Ingram, Jr., Robert Newlon, and Maurice Newlon and wife Vickie; sisters Marjorie Hontz and husband Bob and Iris Ditamore; other relatives many friends. Donations may be made to St. Jude’s Children’s Hospital.